Erik and I decided to go to the Sagrada Familia after walking down to the beach; I decided to make a separate post just for this landmark because it was so amazing. 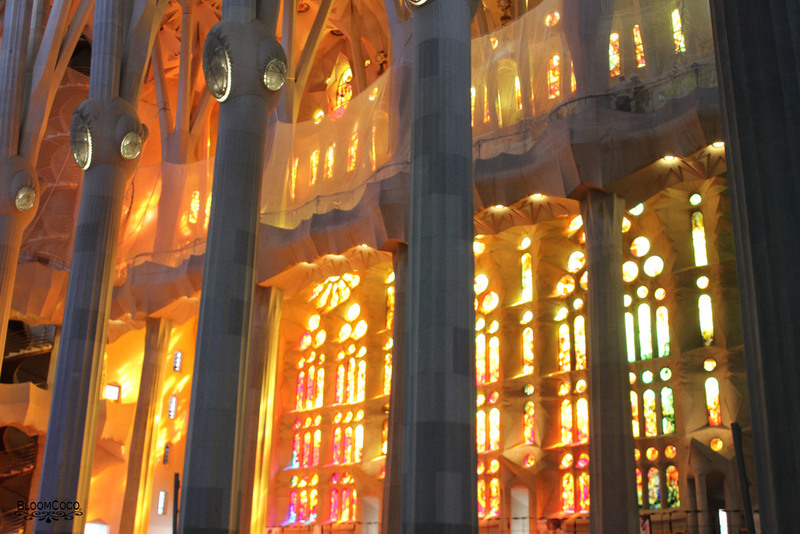 We walked from the Barceloneta to the Sagrada Familia because we really wanted to explore more of the city that we had missed on our previous trip 3 years ago, and if we rode the metro we would have missed seeing something interesting. In able to enter the Sagrada Familia you have to purchase a ticket for a certain time of the day, then later returning to a much lesser crowd. I am so glad that they have this process, there is so much to see that if it was crowded it would have been harder to truly enjoy the moment. While waiting there is so much to see around the Sangrada Familia, there are restaurants near by, vendors selling souvenirs, as well as cute shops and small parks that you can relax at while waiting. Right from the beginning the entrance is magnificent, the detail in every aspect is extraordinary. The glow from the stained glass windows are magical; we took several photos in different lighting to get the beauty in every shot. 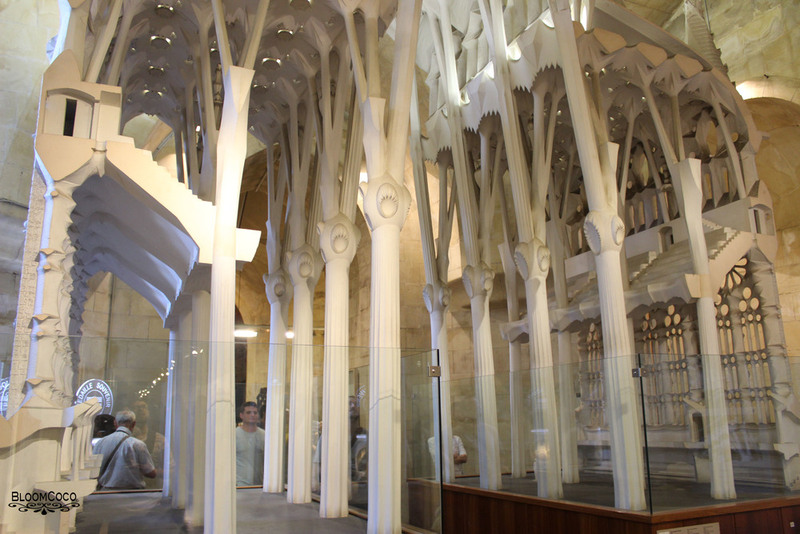 We were also able to go into the museum and the school designed by Gaudi without being rushed by a huge crowd of people. Whether we were standing inside of the schoolhouse, museum or the Sagrada Familia I couldn’t help but keep thinking to myself what a special moment this was. 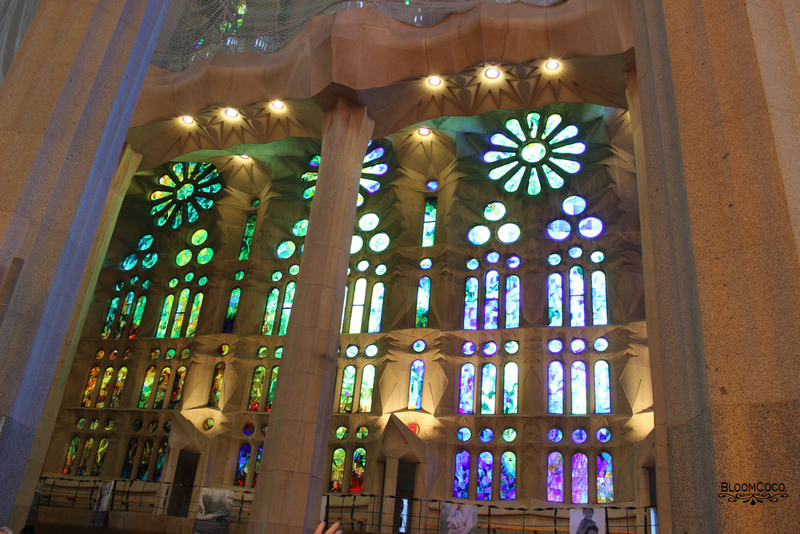 We learned that Gaudi had built the school for the children of the workers that were helping build the Sagrada Familia; it was burnt down twice. I am so glad that they rebuilt it because the workmanship and architecture of the building is so unique; it’s a fine representation of what Gaudi incorporated in his designs. The museum also has a lot of information and replicas of the church as well as allowing visitors to peek inside the workshop. 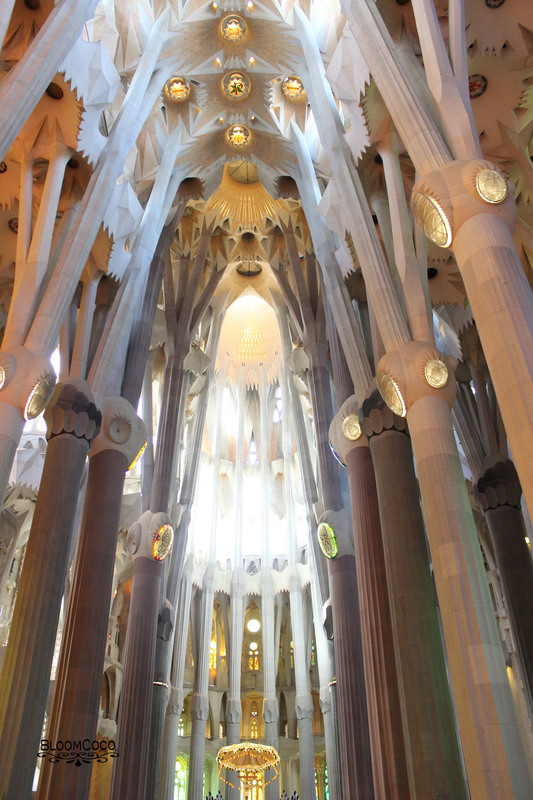 They have the history behind the Sagrada Familia and how it will look like once it is finished. It was a lovely day, and very warm but by the church it was extremely windy. Everyone was holding onto their items that they thought could fly away because the wind was so strong that day. I personally liked it because it was a nice cool wind, which was great on the walk back home. TIP 1. Buy tickets online to avoid waiting in a long ticket line. General Ticket is 15 Euros. TIP 3. Take snacks or water, vendors across the church hike prices.